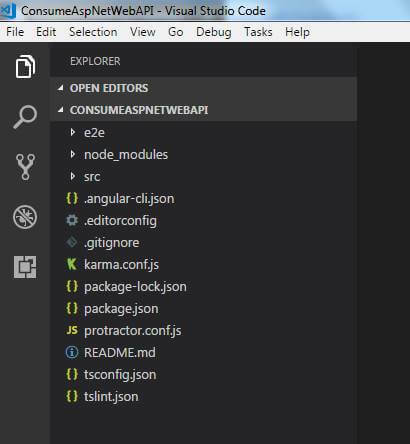 In this, we will learn how to consume/use or fetch data with help of Asp.Net Web API in Angular. To achieve this task following are easy steps. 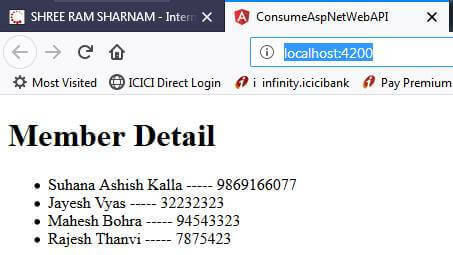 In this article, we will learn how to consume/use or fetch data with help of Asp.Net Web API in Angular. To achieve this task we will follow some easy steps. 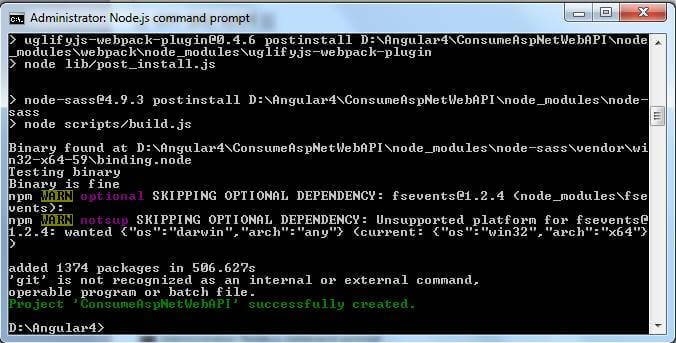 Create a new Angular project with CLI command. 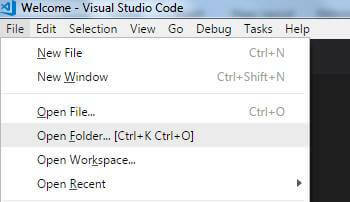 Now start and switch to Visual Studio Code. 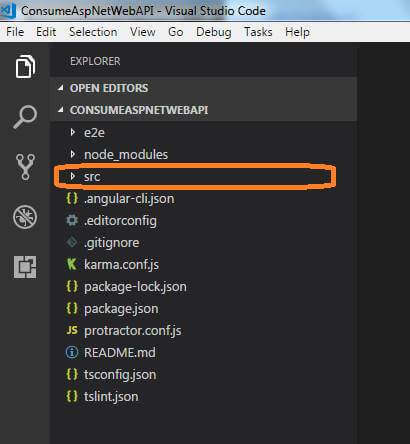 As you know SRC folder is a source folder where we write our code to fetch data from Asp.Net Web API. 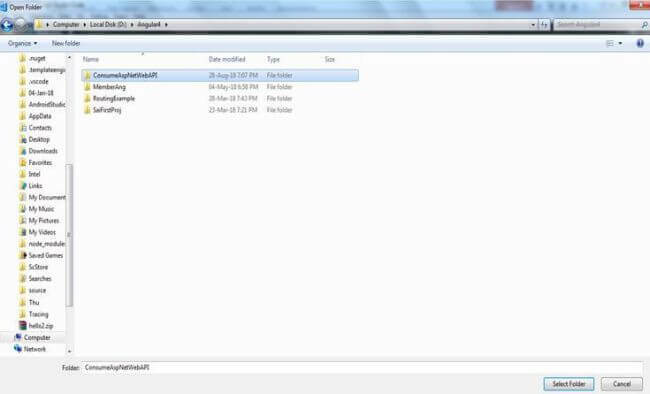 Click on SRC folder to view the default internal content SRC folder. Create a folder named MODEL before we create our model class. To implement this, we need to create a class as per the above format. Now, this is the time to create a SERVICE folder where we keep our service. Right click on SRC folder. You can see the above console screenshot SERVICE has been created successfully. Insert the following line at the top of app.module.ts file. Update the following line under @NgModule directive section of providers. Write dependency injection statement for MemberService. Now, switch to MemberService.ts file to update code for testing. 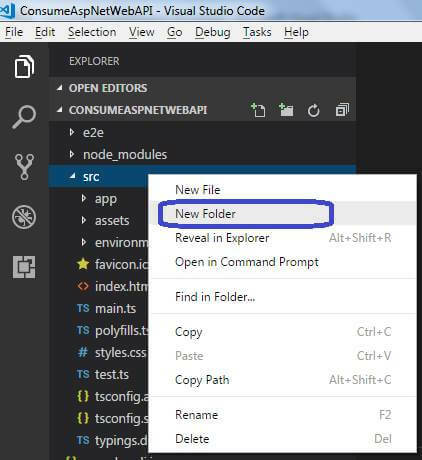 Create a constructor inside MemberService.ts file. Now, it's time to check if our service working or not. The message in the above console shows our all settings for the service are perfect. Now we code further. Now switch back to app.module.ts for import HTTP module at the top. Now switch to app.component.html to print data on UI. 1 app.component.html src\app\app.component.html Default main component html file. 3 app.module.ts src\app\app.module.ts Heart of application all things should register with module.ts. 4 membermodel.ts src\app\model\membermodel.ts Model file which helps to generate view and port data to UI. 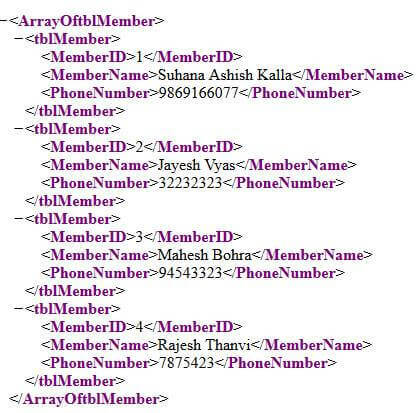 5 member.service.ts src\app\service\membe.service.ts Service class file which helps to fetch data from Web API. Fetches the data with HTTP module.